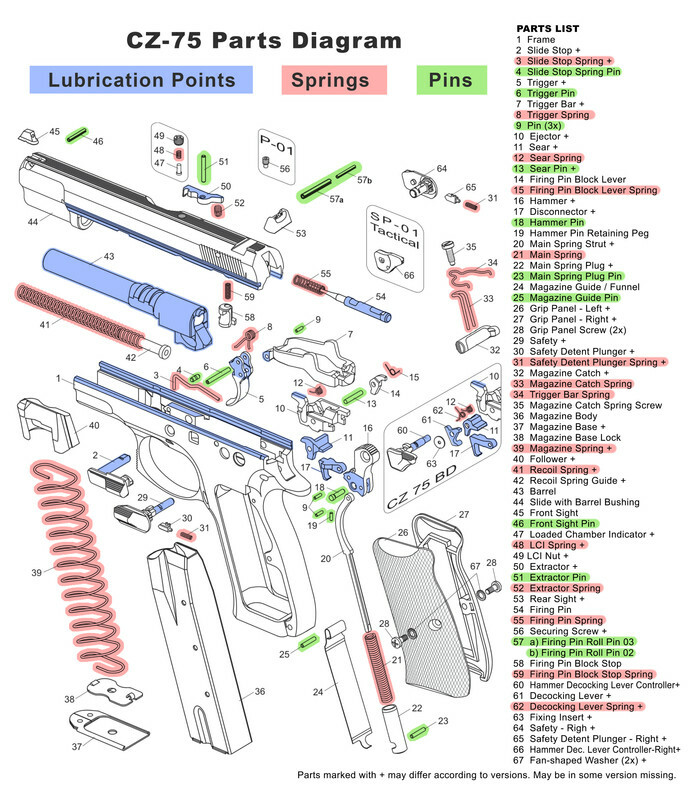 I have searched everywhere for an exploded view and parts identification for the Compact PCR. Any ideas where I might find one? 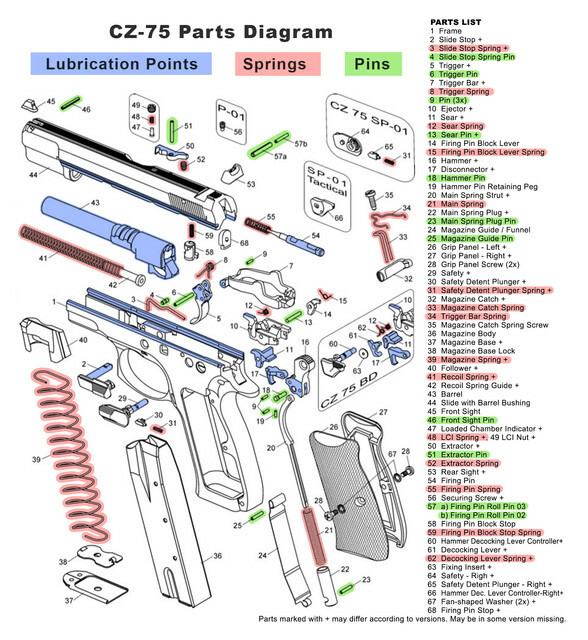 Found this in the CZ 75 owner’s manual on the CZ site... I think it covers the PCR with LCI. I made this one a while back. It's the CZ 75 in general. Hi Res. Anyone, please let me know if there's any wrong information or wrong coloring on it because I can fix it and repost. UPDATE 2019-02-27: Just posted an EVEN HIGHER RESOLUTION image with some minor tweaks. New illustration was pulled directly out of the latest CZ 75 manual. Thanks for both of those exploded views. Just what I was looking for to print a hard copy. First thing i noticed missing is the barrel bushing. This is a very nice layout you made. Thank you!! Thanks. The base illustration is from CZ. 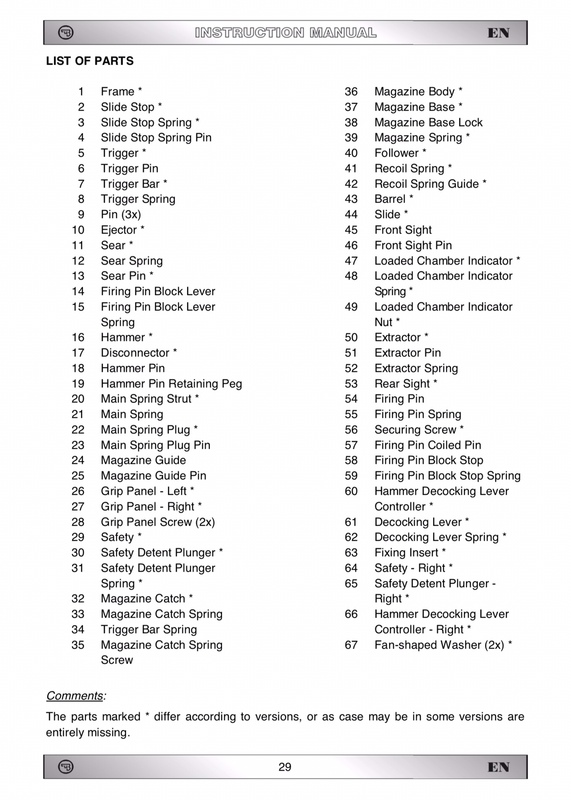 I added the colors, re-typed out the parts list. 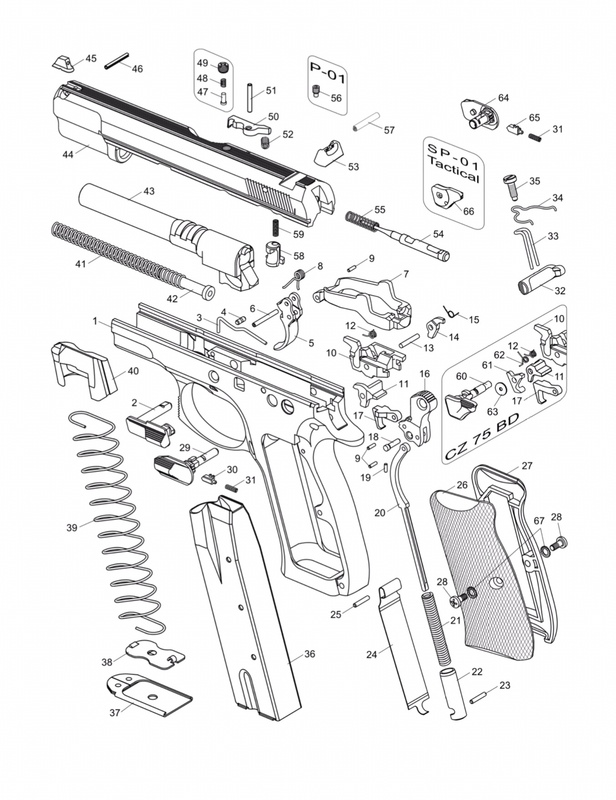 I never saw the barrel bushing in these CZ 75 illustrations. If you want me to add it, I can figure a way to do so if there's enough interest.